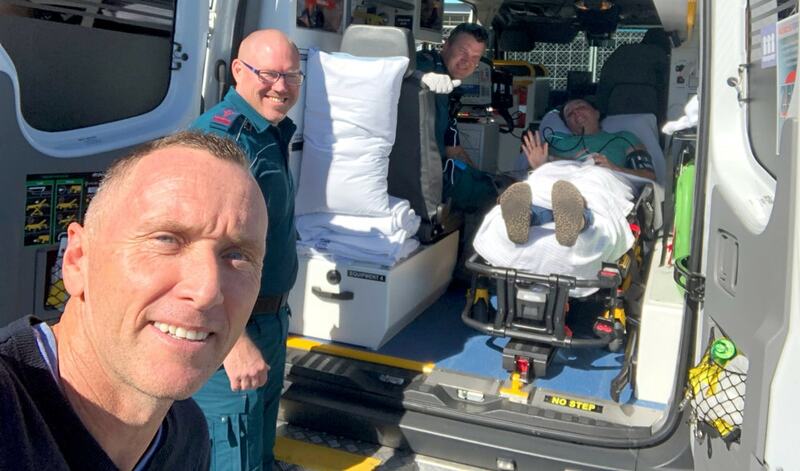 First Aid student suspected of having a heart attack is rushed away in an ambulance thanks to instructor’s swift actions. Suspecting a heart attack, trainer Wendy immediately called an ambulance, kept the woman in an upright position and stayed with her until paramedics arrived. This is not the first time a medical emergency has happened in one of our classes, and indeed not even the first one to happen to our trainer Wendy. Three years ago, a man went into cardiac arrest during a FAAE First Aid and CPR class. Wendy instantly leapt into action, requesting another participant to run for the onsite AED and then commencing CPR and defibrillation until the ambulance arrived. Wendy’s swift actions in both scenarios undoubtedly contributed to the survival of both patients. Although we sincerely hope no one has to use the training that we provide, these scenarios prove that medical emergencies can happen anywhere and anytime! We encourage everyone to be up to date with their training as you never know when you will have to act in an emergency situation.